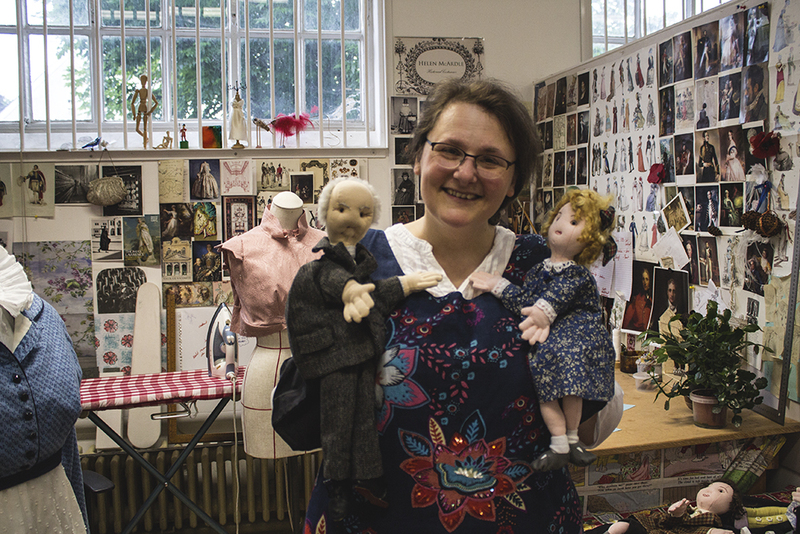 Eastleigh-based historical costumier Helen McArdle has made a set of eight puppets to be used in workshops that help improve communication between young people and the elderly. Helen was commissioned to make the puppets by Emma Golby-Kirk, Heritage Project Manager for the Age Fusion Project at Age Concern Hampshire, which is funded by the Heritage Lottery Fund. 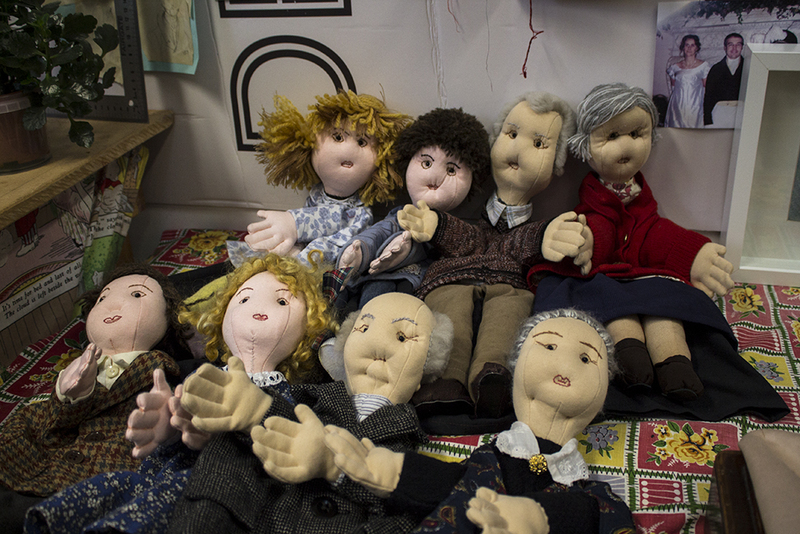 The puppets are being used to enable people to express ideas about generations that they might not ordinarily share with each other, such as the concept of ageing. Helen, who works from her studio at The Sorting Office in Eastleigh, was commissioned after designing an array of costumes for an Agincourt-themed play directed by Emma, called A Mouthful of Earth. The hairstyles and clothes of the older puppets are based on the descriptions that older people involved with the project gave about their own grandparents. Whilst initially only four puppets, a 1940’s set of grandparents and grandchildren, were commissioned, their popularity and usefulness meant that a contemporary set representing the 1940’s grandkids grown up and with grandkids of their own, was commissioned, which further broadens the scope for conversation. “I’ve never made puppets before, but it was a nice thing to make, it was quite fun. “But the modern four were really hard, you don’t want to put stereotypes on them; it was really difficult to create general people without pigeonholing them. “The response has been absolutely phenomenal, the puppets are brilliant at getting people talking, they really help to break down barriers. “The puppets are made using fabric of the era, and some of those we work with are blind or partially sighted, so it can be a tactile way to unlock memories.